LOS ANGELES — Maybe it was destiny for a movie with a pile of poop as a central character. “The Emoji Movie” has received Hollywood’s most famous frown, the Razzie Award , for worst picture of 2017, making it the first animated feature in 38 years to earn the top dishonor. 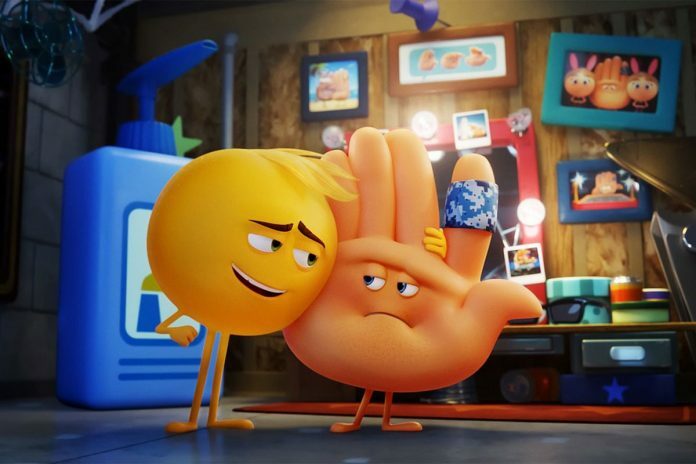 “The Emoji Movie” landed four of the 10 Razzies given out this year, also taking worst screenplay, worst director, and worst screen combo, which was given to “any two obnoxious emojis” from the movie. Tyler Perry took worst actress for “Boo 2! A Madea Halloween,” the director’s 10th time donning a dress and playing his signature white-wigged matriarch. Kim Basinger took worst supporting actress for “Fifty Shades Darker,” putting her in the special company of Faye Dunaway, Liza Minelli and Halle Berry as actresses who have won both a Razzie and an Oscar. “Baywatch,” won the inaugural “Special Rotten Tomatoes Award: The Razzie Nominee So Bad You Loved It!” The award is the result of an online poll held in conjunction with the review site Rotten Tomatoes. The rest of the Razzie Awards are determined by what the organization says is over 1,000 voting Razzie members 27 countries and from every U.S. state except Montana.